I was browsing the net searching for pictures of my city. Then, I found this photo of my church where I usually go to attend mass on Sundays. 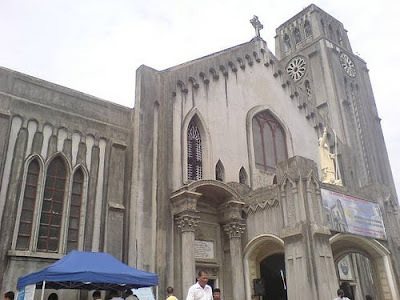 This is San Augustine Church located in Cagayan de Oro City, Philippines. When I was about four or five years old, I joined the "Flores de Mayo" where little girls excited to dress as angels and learned some songs. This is the church where I go to. I was able to sing in this church too as a member of a choir. I became a lector in a wedding ceremony of my friends held in this church also. When I close my eyes right now, I can remember the scent of this church and the nice garden at the back area. I have so many memories in this church and I missed it a lot. I watched this movie just this week. 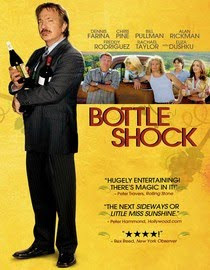 A true story film in 2008 about winery in California. 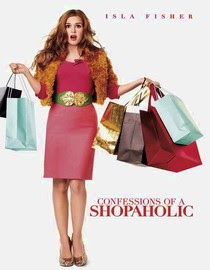 Watch this movie and you will love it. This is a true story when France's position as the world's top wine producer went unchallenged until 1976, when the Montelena Winery put California wines on the map. This is a story delightfully told in this full-bodied tale about the heady early days of Napa Valley's success. Bill Pullman, Chris Pine and Freddy Rodriguez star as the dreamers and drinkers, who dared to challenge the establishment, with Alan Rickman hitting just the right note as a toffee-nosed sommelier. A movie with humor and tackles about friendship, family and high hopes. Highly recommended movie and I give it a 4.5 stars. We went to the mall today and driving on highway 90, beach boulevard area is truly wonderful. The sky is blue though a little chilly but, people have a good time on the beach. Access to all the beaches in Mississippi is FREE. If you have a camper or an RV, you can park your vehicle and enjoy the view on the beach. Another thing that you will notice on the highway is the passenger bus that you can ride from one casino to the other. 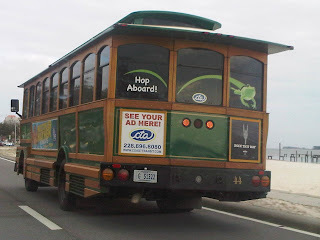 This bus is called CASINO hopper and the fare is very affordable. 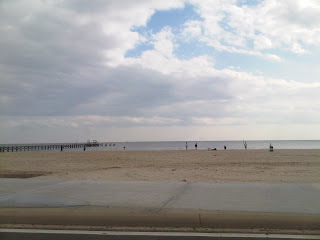 Please visit BILOXI in Mississippi and you will enjoy the food, the beach, the view and the casinos in this area. I have a smart phone and whenever I get bored, I play the downloaded games in it. It entertained me most of the time because when I am playing, my brain is active. I usually play my game during my break and when I have free time to manipulate my phone. I also play online games and sometimes, I get hooked on playing for hours. Do you like playing in a funbrain arcade? There are so many games online that are easy to access. Whatever games that fancies your interest, as long as it makes you active and having fun, it is alright. Games online develop our critical thinking and mental alertness if used in the right manner. Games can be addicted but, we should make sure that we never neglect the real world we live in. I am addicted to online games and I am having fun playing with it. 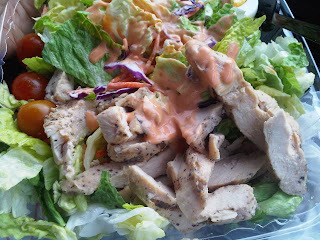 I know when to stop and eat, and when to play and back to work. Playing arcade games are the best entertainment that truly defines fun and excitement. It is good when we learn few tricks and strategies right? So; go ahead and enjoy your favorite game as well as I did with mine. Are you fond in mobile video ? Are you looking for a central marketplace to buy and sell rights? Check out mDistribute which is owned by Golivemobile.com. 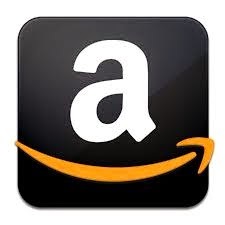 This is a global technology company based in Denver with technical offices in India and Philippines. The first and only self-serve mobile content licensing platform of which content creators can easily license to the mobile industry. If you are using smartphones such as iPhone, Blackberry and Android, please visit this Website. Are you interested in making personalized invitations? On my spare time, I love making art work out of ordinary things. It started when I did my first scrap book during elementary days. My important accomplishment was when I assist my brother in his wedding preparation. My sister-in-law gave me a sample of wedding invitation that she like to have. She then gave me instructions what paper to use and augment the design to make it more personalize. Some materials were not available so; I made some suggestions. To make the story short, the invitation turned out very good. The couples were happy with the finish product of their wedding invitation. Then, when my closest cousin got married the following year, he assigned me to make his invitation too. And I gladly did. Two years ago, it was my turn to make my own wedding invitation. At first, I can't find the right material and the design that I most desired. But, after few adjustments, I was able to make a personalized wedding invitation that I love on my wedding day. All our friends like the invitation that I made. Personally, I am very much pleased with my wedding invitation. 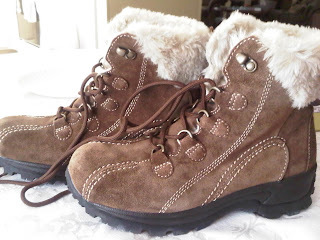 If you are a wise buyer, this is a good time to buy winter jacket, winter clothes and boots. 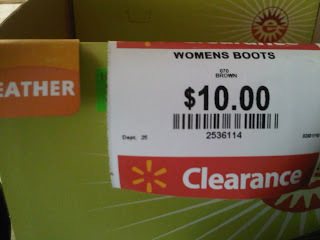 The price will never hurt your pocket. Today, I received my 1099 from the mail coming from the company who gave me opportunities for blogging. I started accepting opportunities in this company since November of 2008. Bloggers who live in the US are required to file tax return that includes income from blogging. As a good resident in the US, I am excited to file my taxes this year. 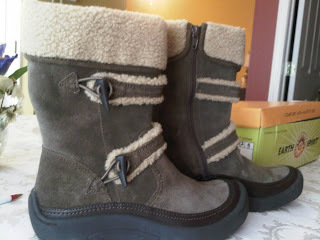 I love taking pictures as most of my blogger friends know. I bought a nice digital camera and since I bought it last January, I still did not download the pictures in my PC. I am frequently using my BB though which I find it very handy and easy to download. 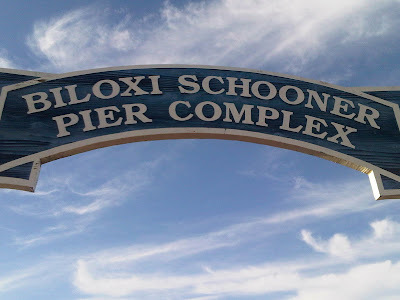 Anyway, the pictures below were taken just this week at Biloxi Schooner Pier Complex. If you wanna see the view of this place, click HERE. I love this picture, see the weather? AWESOMENESS, LOL! This is the Pier and at the same time the Maritime and Seafood Industry Museum is located. The boats/yachts that you see here are privately owned, docked and lived here. This place is their residence, nice huh? From where I stand and facing this view, I took a picture on my right and below is the beautiful scenery of the beach on Highway 90. 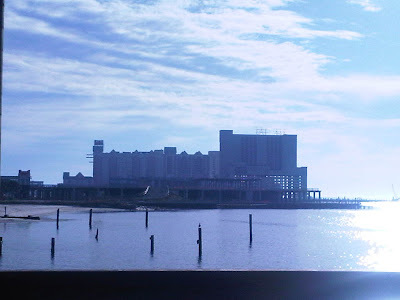 The buildings that you see here are the casino and hotel of Hard Rock Biloxi and Beau Rivage. On my left side, the Grand Casino hotel and casino is just nearby and those cars are on Highway 90, facing the Gulf of Mississippi. Still on my left, zooming the further view is the ISLE hotel and casino. 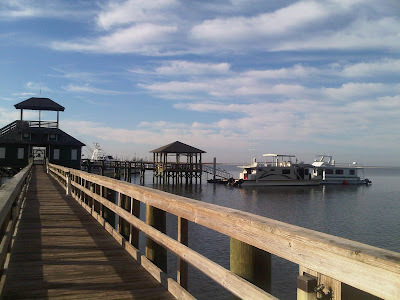 It is located right along the bridge connecting the two cities of Biloxi and Ocean Springs. Yes! I love this place because I can wander FREE inside these casino. Awesomeness still? LOL! If you happen to be travelling to the highway 90 by the Gulf Coast of Mississippi, visit these casinos. You will enjoy staying here to unwind for a week. The beach and the view is truly awesome. The SEAFOOD is truly cheap and affordable. The buffet is each of these casinos are FEASTIVE at low price. 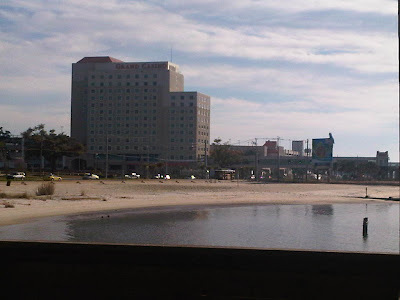 Aside from these casinos, there are more: IP hotel and casino, Boomtown casino, Treasure Bay hotel and casino and more. 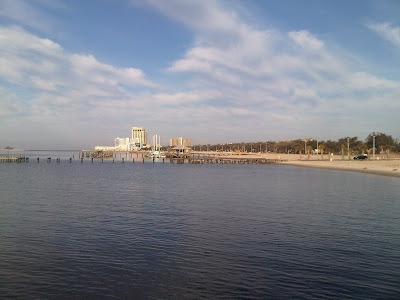 Visit Biloxi, Missippi soon! Have you ever experience the feeling of "suffocation", not letterally though. I am referring to my feelings in relation to my present job. I really do not need this job but, if I quit, I will be bored at home. And besides, I can have projects with what I am earning. While I am at work, my body would screamed as if telling me to just quit. Last week, I broke down because I was too exhausted and yet, so much work was lined up to get done. The only way to get out of this feeling is to quit right? But, I do not quit easily. I have the WILL power and as long as I have the patience to keep coming to work, I will be alright. I will quit for health reasons though. I don't like smoke and my workplace is a smoking war zone.